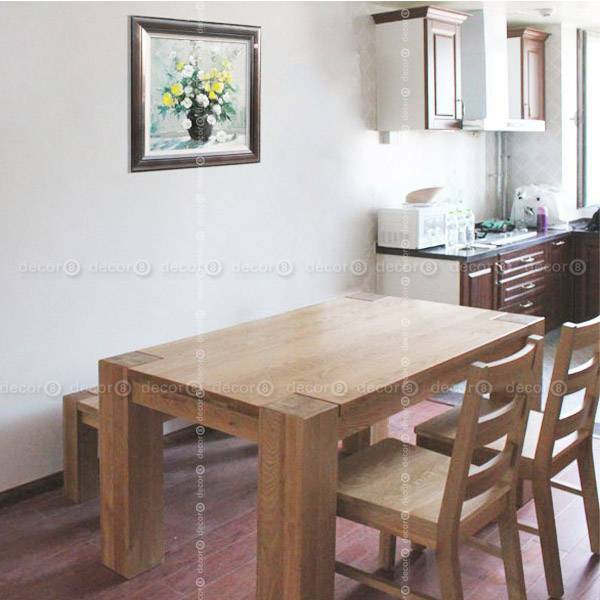 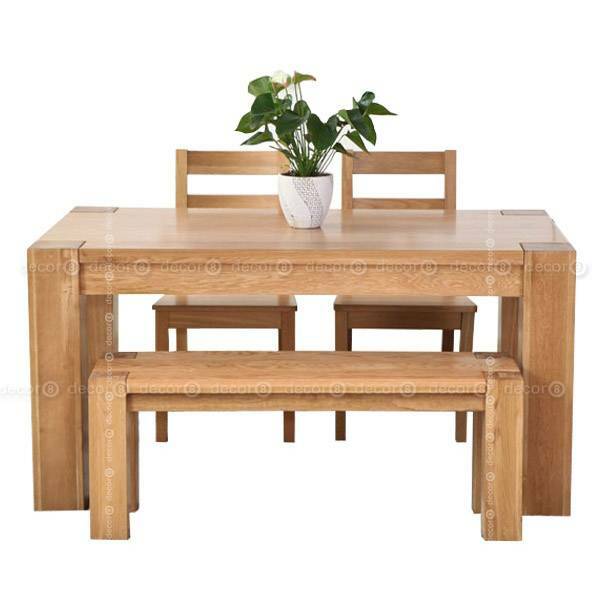 The Decor8 Fabian Solid Wood Oak Dining Table is a modern and elegant dining table that is both sturdy and timeless, using the finest solid oak wood and natural wood finishing to create a truly exceptional masterpiece for your dining and living room. 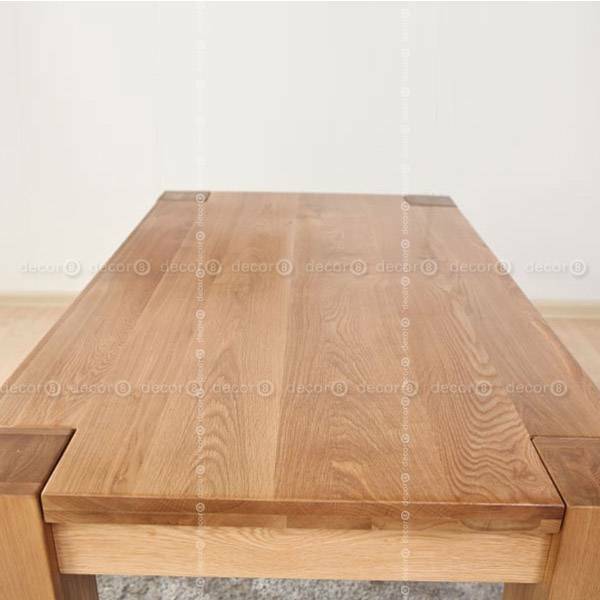 Table top and legs made of fine American solid oak. 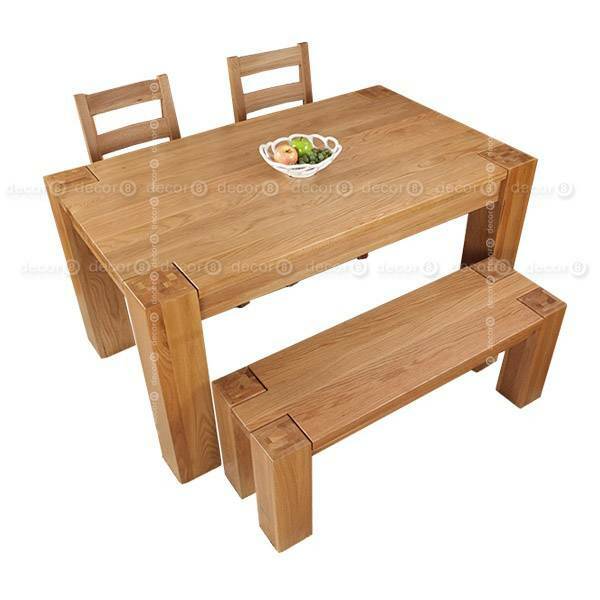 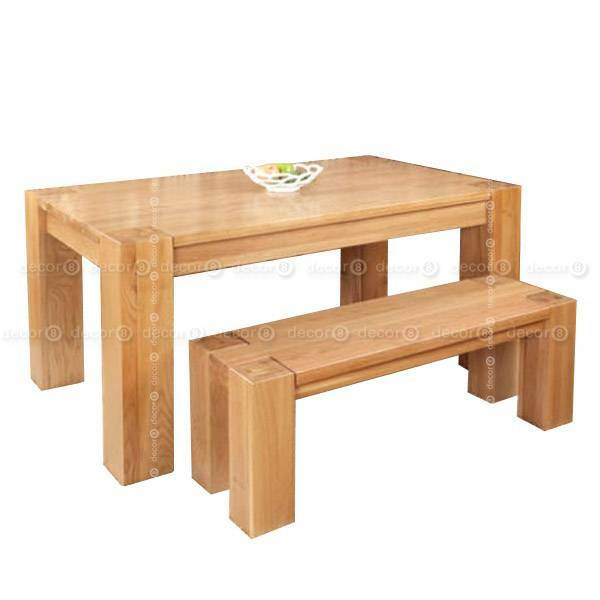 1.45m long bench can fit between the legs of 1.8m table.